Why do we need to focus on crime and violence prevention in children, adolescents and young adults? Because it is vital to start when offending behaviours first appear. If we fail to stop initial acts of antisocial tendencies and criminality, then these actions become the staging point for a life-long trajectory into adult crime. Breaking the offending cycle during its early stages is one of the most cost effective ways of building a less violent and crime-ridden future society. The reader might well ask: “How is it possible to break the offending cycle and reduce crime on a local, national and international scale?” The well-worn response has oscillated between the introduction of punitive ‘harsher penalties’ and offender rehabilitation program initiatives. The choice of which of these two approaches holds sway depends on the political agenda of the government in power. Whilst various aspects of each approach have been successful in deterring crime and violence to some extent, they have not been successful enough, as crime and violence perpetration remains a perplexing social issue. What emanates out of the presented research is the emergence of a third global values-driven educative approach to crime and violence prevention, which is slowly beginning to be implemented. This third approach works by challenging and changing the existing pervasive belief that crime and violence are inevitable. The exciting prospect for governments, police, and criminologists is that it is not prohibitively expensive; it complements the existing punitive and rehabilitative approaches, and it is implementable on an offender-by-offender, family-by-family, community-by-community and society-by-society basis. 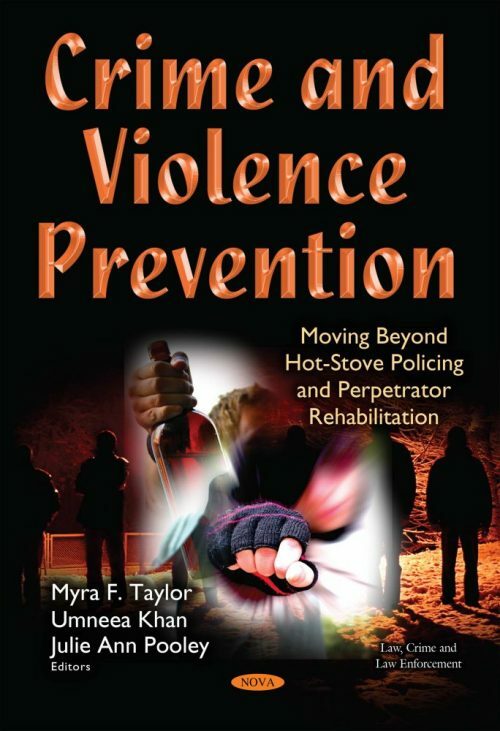 In this regard, examples of current crime and violence prevention initiatives are presented. The book deems which ones are and are not effective in reducing offenses, as well as introduces the steps being considered to introduce a global values-driven educative approach to crime and violence prevention. Is the Youthful Repurposed Occupation of an Abandoned Swimming Pool an Act of Prosocial Sustainability that Could be Tolerated, or is it a Criminal Act that needs to be Punished?